Dance Par-Tay (Funky Love Version) On DustyRadio Valencia Podcast! There’s plenty of time for #funkyresistance, but we need to recharge and remember what’s most important with some time out for #funkylove. 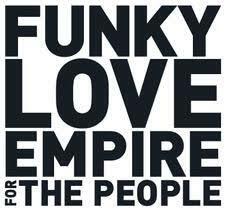 The funky resistance is based on love, and that’s why it’s so much more powerful than the unfunky Administration motivated by money. Mr. Beau Dayshus invites you to prove for yourself that love is stronger than greed — OHHHHHH YEAHHH!! !